You only want what’s best for your family when it comes to oral health. 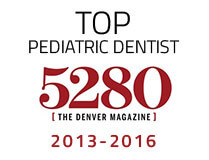 You hate to hear your pediatric dentist in Castle Rock tell you your child has a cavity that needs to be filled. Unfortunately, even with the most dedicated oral regiments, you can miss the foods your children eat or the hard-to-reach places in their mouths. But don’t blame yourself, as it’s quite common for kids to get cavities at a young age. If your dentist says your child needs fillings, don’t stress out; the process is simple and straightforward. Keep reading to learn what the proper treatment entails and how your local dentist reverses tooth decay. In a report published by the CDC’s National Center for Health Statistics, 42 percent of kids in the U.S. aged 2 to 11 have tooth decay with 23 percent not being treated for it. According to the American Dental Association, tooth decay is the most common chronic disease in children in the U.S., five times as common as asthma. Why is this? Kids tend to eat much more sugar/starch and have more trouble practicing proper brushing technique than adults. Without strictly watching you child’s diet, you won’t know which foods are causing the cavities to appear. When they do however, there is an option other than fillings to consider. You may have had previous dentists who want to put fillings in your child’s mouth as soon as they discover tooth decay. 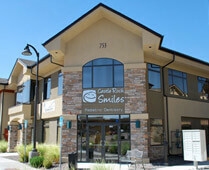 However, your childrens dentist in Castle Rock has a different approach. Today, dental decay has become a slowly progressing disease, making it possible to catch early rather than jump to drilling. Thanks to newer technologies, dentists are more capable of catching tooth decay before it creates cavities than ever before. At its early stages, tooth decay can actually be reversed. In our professional opinion, patients who are considered low-risk for tooth decay can benefit from less invasive methods of treatment. Overtreating can actually lead to complications from treatment, so it’s worth considering the following before rushing to fill cavities. If the patient is not experiencing any pain and no cavity is currently present, then a filling may not be needed yet. With home and dental office fluoride treatments, minerals in the tooth can be built up again and make enamel stronger. With this method, dentist won’t need to resort to adding more fillings which can crack or fall out over time. Fillings – Only should be used when a cavity and pain is present in the patient. These can come in composite resin or amalgam form. Crowns – These are ideal for very large cavities that require pulp treatment. They come in many forms, including stainless steel and zirconia. Pulp (Nerve) Treatment – When decay has spread to the nerve, this treatment can be done to save the tooth by removing all or part of the nerve and placing medicament and filling the pulp space. Extractions – Used only for severe decay, trauma, or necrotic teeth. It’s also used for baby teeth that don’t fall out naturally. 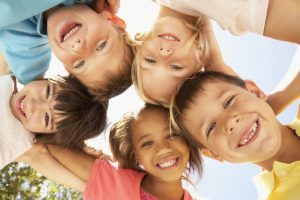 When it comes to treating your child’s cavities, you can trust your pediatric dentist in Castle Rock. Contact us to schedule an appointment for your child today! Dr. Layne Benzley earned his Doctor of Dental Surgery degree from the University of Iowa and his pediatric specialty certificate from the Eastman Dental Center at the University of Rochester. He’s also a certified Diplomate of the American Board of Pediatric Dentistry. To learn more about his practice, contact him at (303) 660-5373 or visit his website.